You’ll be forgiven for thinking that the art of aromatherapy is choosing the prettiest-smelling essential oils and rubbing them all over your body, because, after all, essential oils do smell gorgeous. But scratch the surface and you’ll discover an intricate scientific process that requires two years of study and over 350 clinical hours to master. 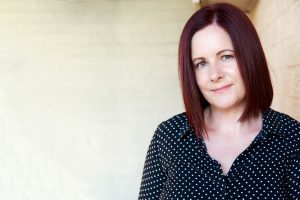 Sarah Smart of Aromatherapy with Sarah, resident aromatherapist at The Balmain Massage and Wellness Centre, breaks down the chemistry behind the art. Compared with other modalities, aromatherapy requires quite a comprehensive consultation before you even hit the table. Not only is Sarah pinpointing specific areas of concern, she then needs to select and potentially combine oils before the treatment can begin. The first step is to determine the patient’s age, stress levels, aches and pains, medical conditions, allergies and intolerances and the results they wish to achieve from the treatment; often this is simply relaxation but may also be to alleviate symptoms, or to invigorate, for example. Equipped with this information, Sarah will have a sense of the therapeutic properties that will best serve each client and can begin the process of oil-matching. Each essential oil fits into a number of categories, including pain-relieving, cramp-relieving, sedative, nervine and anti-depressant. Sometimes a single oil will cover all of the desired health benefits; “Sweet orange is anti-depressant, which is uplifting and calming, but then it’s also anti-spasmodic, so would help with cramping, or aches and pains” Sarah explains. Sound simple so far? This is where the chemistry REALLY kicks in. Essential oils have astonishing health benefits and just as many contraindications. With some oils boasting over 100 therapeutic properties, it can be rather complex. Did you know that epileptics should avoid fennel, hysso, peppermint and sage essential oils, or that marjoram and ylang ylang are not suitable for those with low blood pressure? Contraindications become largely intuitive with the training that Sarah has had but must be carefully considered pre-treatment. Age is pertinent as well; a weaker dilution will be used on children and the elderly whose skin is generally more sensitive than others’. 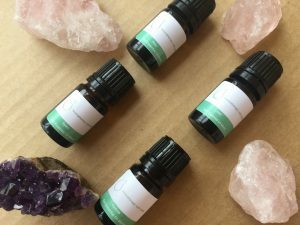 If one oil doesn’t cut it, the next step is creating what Sarah describes as a “synergy of blends based on their therapeutic properties”, which is a three-tiered system consisting of a top note, middle note and base. The top note is generally light, fresh and uplifting, like sweet orange as Sarah explains. The middle note would be something like lavender, which makes up the bulk of the blend, giving it body and balance, followed by a rich and intense base such as frankincense. Once the perfect oil or blend is selected, they are mixed with a carrier oil such as jojoba, sweet almond oil or coconut. Only then can the massage can begin! 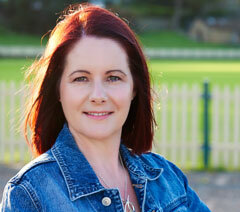 Sarah is a mum, an holistic healer and an essential oil expert. You can find her at the Balmain Massage & Wellness Centre Monday-Friday, on Etsy, or her website.